WE HAVE THE EXPERIENCE TO DO IT RIGHT. RCI has been handcrafting custom corral panels in California since 2001 and is California’s most established corral builder. Because RCI exclusively uses Allied Gatorshield tubing with a 55KSI tensile strength rating, most of our original work remains in after years of use. No other builder can match our quality, workmanship.pricing or track record. Because of our low overhead we are able to offer the most competitive prices and while continuing to use the best materials. 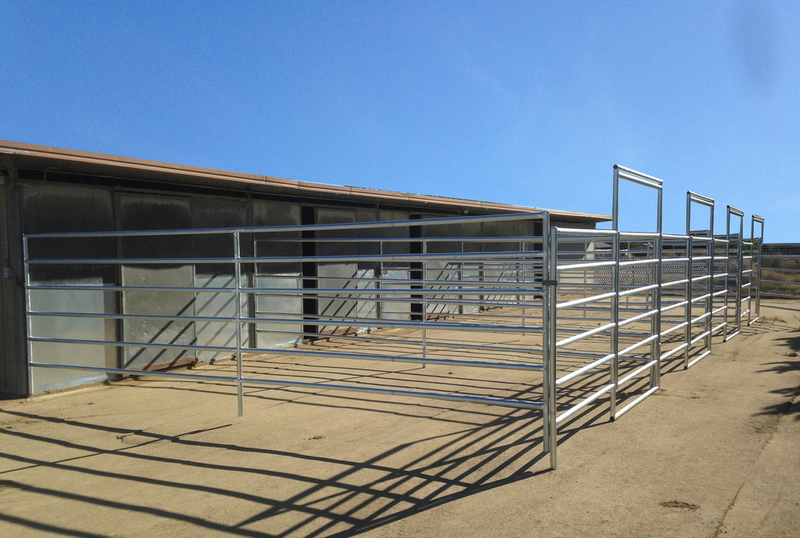 At RCI each corral is fabricated by certified welders using the highest quality steel.